Your favorite pair of earrings may not be an heirloom from Grandma, but you still can't bear to part with them because of a bent earwire. Has your clasp broken, chain knotted, or ring bent out of shape? If any of these have happened to you, here's a handy list of jewelry repairs that you can do yourself. I don't recommend repairing fine jewelry by yourself, but these quick fixes will have you wearing your favorite fashion jewelry again. Many necklaces break at the clasp because it sees the most use. 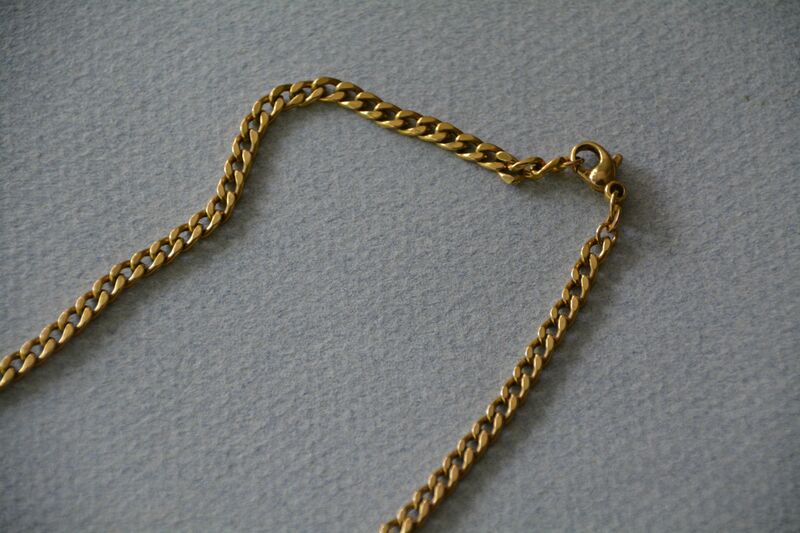 There are two typical problems, a jump ring opens and part of the clasp gets lost or the spring clasp gets broken and no longer closes correctly. For both problems, the solution is the same. You need to replace the broken clasp with a new one. When purchasing a new clasp, the safest bet is to buy one that is similar in size and shape to the old one. This will ensure your jewelry will fit and wear the same way. Once you've found the right one, follow these instructions to attach your new jewelry clasp. Beading wire can loosen from the crimp beads that secure it to the clasp or break from abrasion and wear. When this happens, you will need to restring the necklace and attach the clasp using new crimp beads. This is one of the harder simple repairs, only because working with crimp beads can be difficult for new jewelry makers. In order for a crimp bead to hold, you need to find the right size crimp for the beading wire your are using. You can flatten crimps with flat nosed pliers, but for a professional finish, special crimping pliers like the Om Tara will make the job easy and give longer lasting and beautiful results. Elastic bracelets, no matter how well made, will eventually break. There is no way to repair the old elastic. You will need to re-string the bracelet on new elastic. The first step is finding the right elastic cord for your bracelet. One key to successful results is to use a surgeon's knot to tie the elastic. 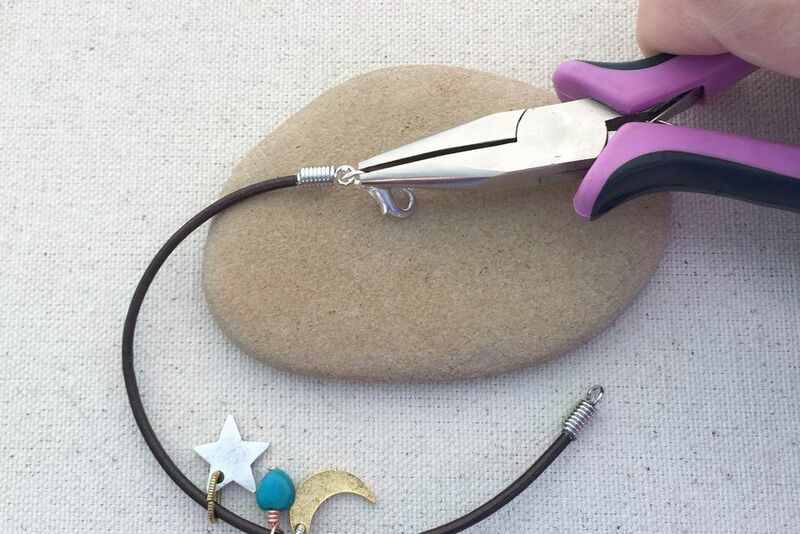 Follow these tips to make better elastic bracelets and then read up on the top reasons your elastic bracelets break so you can make them last longer. One of the most practical jewelry repairs or changes is updating the earwires on earrings. It can be a necessity for people who don't have pierced ears, are allergic to certain metals or are uncomfortable with dangle styles. Knowing how to change the earwire will give you more flexibility in which styles you can purchase–as well as being able to make a repair if an earwire or earring post become bent or broken. To change the earring finding, your earring component needs to be attached to the earwire by a loop or jumpring. Open the loop of the earwire using the same technique you use to open jump ring to attach a clasp. Remove the old earwire and attach the new one by opening and closing the ring the same way. Two common but easily remedied ring problems are out of shape ring bands and rings that have become too small over time. Both of these are easily fixed with a metal ring mandrel and a leather mallet. Place the ring on the ring mandrel as far down as it will go. Tap gently on the side with the mallet, gently pushing the ring down. Repeat on the other side by removing the ring and flipping it over. To re-shape a ring, you only want to apply enough pressure to make the ring round again. To make the ring larger, you will continue tapping, rotating around the ring until it moves to the desired size on the ring mandrel. Note that re-sizing or re-shaping fine jewelry or rings with stones should only be done by professionals to avoid loosening stone settings or causing a stress fracture in the metal. Some metals cannot be stretched this way, so if the size does not seem to be changing, that may be the problem. The key to replacing a missing stone is understanding the type of materials you are working with and finding the right jewelry glue. Whatever you do, don't reach for the super glue, because that is probably not the best choice, even though it may work for a short while. The easiest way to prevent tangled chains and knots from happening is to hang your chain jewelry instead of piling the links on top of one another in a box or on your dressing table. But once the knot or tangle is there–what do you do? Tangles happen when more than one chain gets wound up together and may also involve knots. Untangling and unknotting chains takes patience, a couple of sewing pins, good lighting, a hard surface, cotton swabs and some baby oil. Did I mention patience? Starting at a loose end, begin to untangle one or two pieces of chain. Use the cotton swab to apply baby oil at stubborn knots to help make the chain glide apart easily. The same technique works well for knots in chains.